Workflows can automate your business processes such as reviewing documents, approving invoices, and publishing company policies to your intranet. The AODocs workflow configuration interface doesn’t require any specific technical skills. 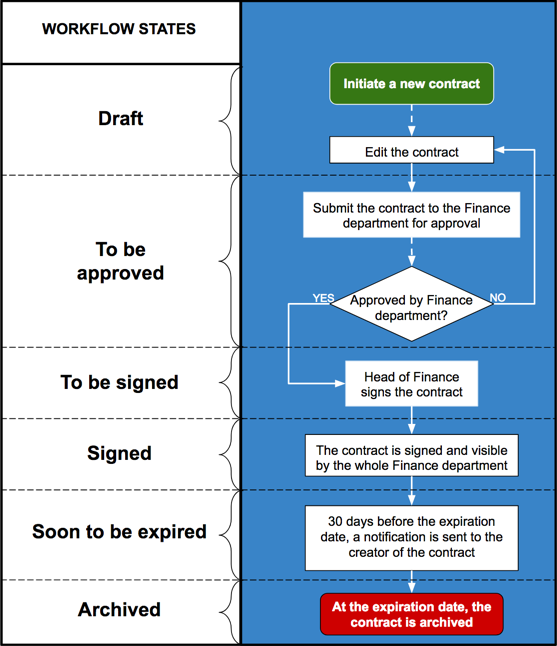 You can configure simple workflows like document approval in a few clicks. 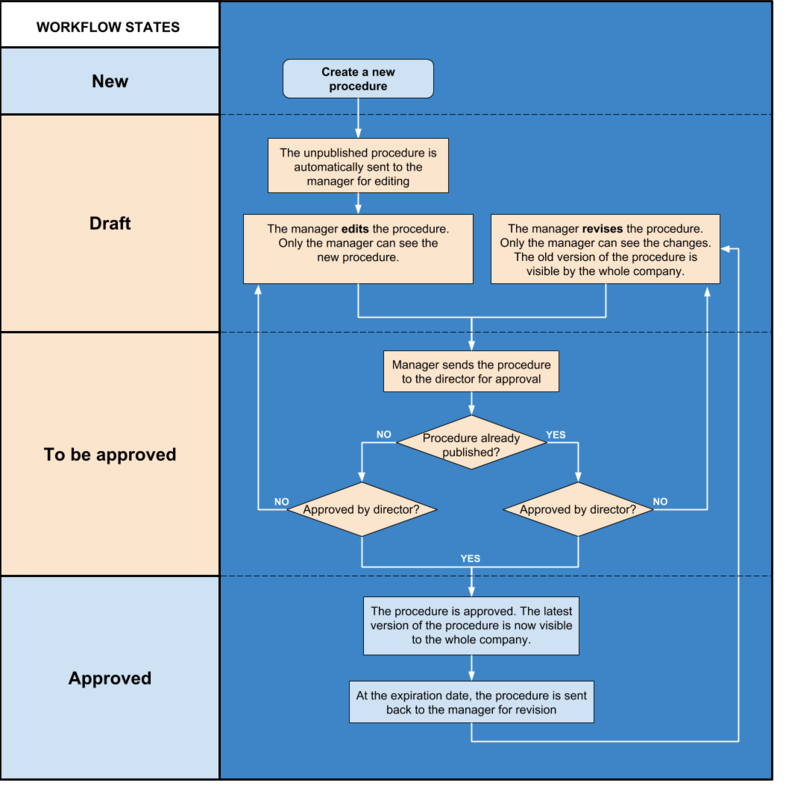 However, even if the configuration of a workflow is easy to do, it’s sometimes more complex to figure out exactly which workflow steps to create, how to assign the workflow roles and which notification emails to send. The methodology below will help you define your workflow to best address your business requirements. To better understand the business need and implement an AODocs workflow, we recommend that library administrators organize an assessment workshop with key end-users. If you need guidance to design and implement your workflow, the AODocs Service Team and the AODocs Service Partner would be happy to help you organize an assessment workshop and find solutions to optimize your processes. 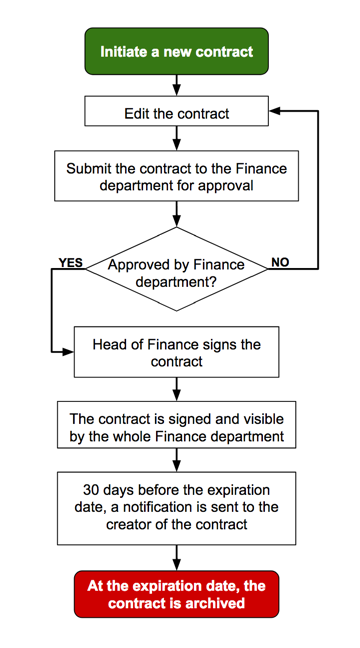 The best way to visualize a business need is to walk through the business process and draw a flowchart detailing all the actions in the process and how they are linked together. 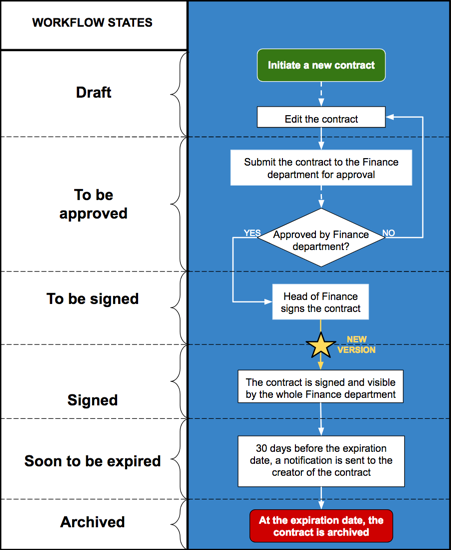 Using your flowchart, you can group the actions that belong to the same workflow state and highlight the transitions from one workflow state to another. 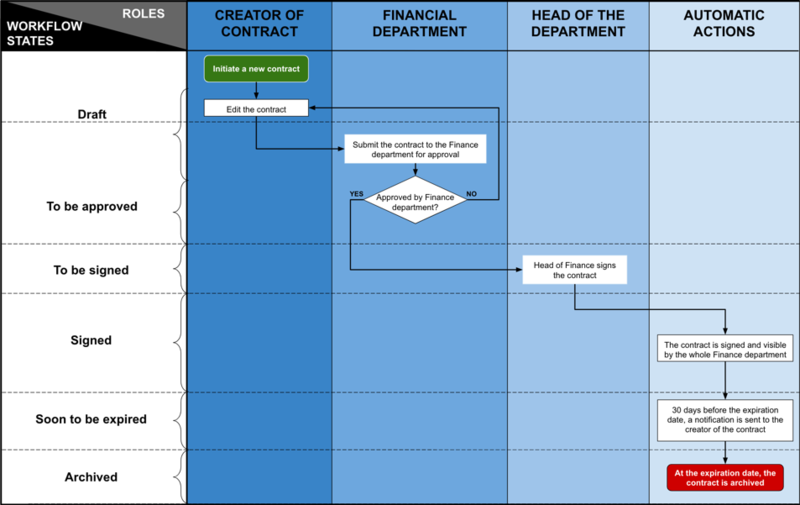 Using your flowchart, you can then define the different roles involved in the workflow process and define their actions. For each workflow state, define who should receive an email and write its content. 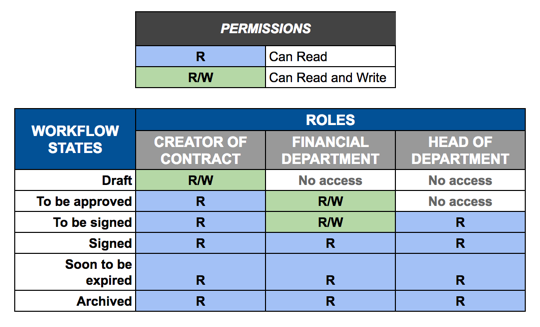 If your workflow requires the permissions of the document to change, define who should have read and/or write access to the document for each workflow state. If your workflow requires a new version to be created automatically, specify on which workflow transition the new version of the document needs to be created. This workflow transition will be considered as a versioning transition. If your workflow requires automatic check-out/check-in, specify on which workflow states the document needs to have a draft version: these workflow states will be considered as a Draft states.